As a healthcare provider, you have your hands full with patient concerns, insurance issues, and administrative tasks. Whether you’re a doctor in a family practice, dermatologist, plastic surgeon, orthopedist, dentist or orthodontist, your time is important and you should maximize how you use it. 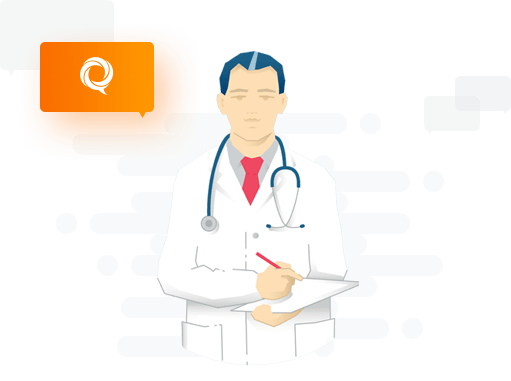 HelpSquad helps you expand your medical practice by delivering accurate, engaging Live Chat services to provide superior customer service to existing patients while helping you get new ones. A user-friendly website is only part of a digital business growth strategy. Live Chat is an online service tool that gives interested consumers more than pictures and details about your office – it turns your site into an active customer service, lead generation and conversion tool. When a website visitor enters your site, our agents are there to greet them and offer a helping hand. A positive online experience not only gives potential patients the information they’re looking for, but it shows them that they’ll be treated well under your care. Another aspect of your digital strategy likely involves numerous marketing efforts, from SEO to mass emails to internet ads. Though these may be driving potential patients to your site, research shows that only 2% of website visitors actually convert into clients. That’s where Helpsquad comes in – whether you’re in the business of fixing bones, teeth, or anything else, Helpsquad makes it easy to proactively engage site visitors and turn them into active patients. Our agents offer professional, personalized service through online chat, Facebook messages or mobile SMS texting. We use a robust ticketing platform to ensure that no question goes unanswered. Helpsquad is also HIPAA compliant, which assures confidentiality and privacy protection of each of your prospective patients. HelpSquad offers 24/7, cost-effective, US-based client service with agents who are trained and knowledgeable about the services specific to your practice—whatever your specialty. Your patients look to you for expert medical help—count on HelpSquad to help you build your practice through experienced, friendly always available Live Chat service. HelpSquad is the number one rated live chat agent lead conversion and client service company in the industry. Experience what a successful return on investment is like. We guarantee we will cover our cost multiple times over. Give us a shot! How many questions do your website visitors have before scheduling the first appointment? All of these questions can be answered instantly by HelpSquad Medical Practice Team, 24/7 and 365 days a year. And instant customer gratification is a necessity for any growing business today.